Vermont has fined Dollar General stores more than $200,000 since 2013 for nearly 50 different price scanner violations, the Agency of Agriculture, Food & Markets announced Thursday. That figure includes more than $24,000 in penalties this year alone, according to a news release from the agency’s consumer protection chief, Henry Marckres. Price scanner violations occur when a customer is charged more than the price posted on the shelf or label. 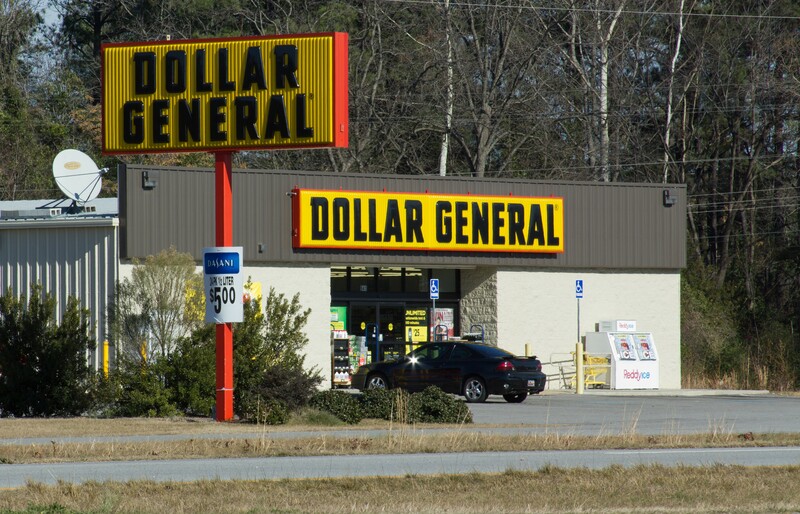 In one eight-month stretch in 2016, the Fairlee Dollar General paid nearly $30,000 in fines stemming from such violations, agency records show. The chain’s three Barre stores have paid a combined $40,500 in fines for scanner violations since 2014, according to the records. “We feel it is important that consumers are aware of these inaccuracies, so they can take an active role in ensuring they are charged accurately, by checking their receipts and paying close attention in the store,” said Kristin Haas, the head of the agency’s food safety and consumer protection division, in a prepared statement. According to Marckres, the agency audits the scanners at stores “where people would buy a significant number of items,” such as grocery stores, pharmacies and dollar stores. Random items are chosen and a violation is issued if more than 2 percent of the items are incorrectly priced, Marckres told Seven Days. Often, the violations occur when a sign announcing a sale is left up and the customer is charged full price. “If a sign says a certain price, then that’s what should be charged at the register,” Marckres said. Related How Did Dollar General Stores Take Vermont So Quickly? How Did Dollar General Stores Take Vermont So Quickly? Stores are first given a warning and told to submit a course of “corrective action,” according to Marckres. Repeated violations lead to fines and are reported to the Vermont Attorney General’s Office. Dollar General had 31 stores in Vermont as of July 2016, when Seven Days reported on the rapid proliferation of the low-cost markets across the Green Mountain State. The company did not immediately respond to requests for comment. The Agency of Agriculture highlights many such fines in a document available on its website. Another dollar store chain, Family Dollar, paid $27,300 in fines since 2014, the records show. Marckres said his agency highlighted Dollar General because of the high number of violations. “Our goal is to make sure consumers are charged the right price,” he said. Vermont Versus Dollar Stores: Fair Fight?